Would appreciate help with corrections and filling in the blanks. 1. Village Name and roll number designation. 3. Conscript's Family Name (Surname), christening or given name, other secondary name. 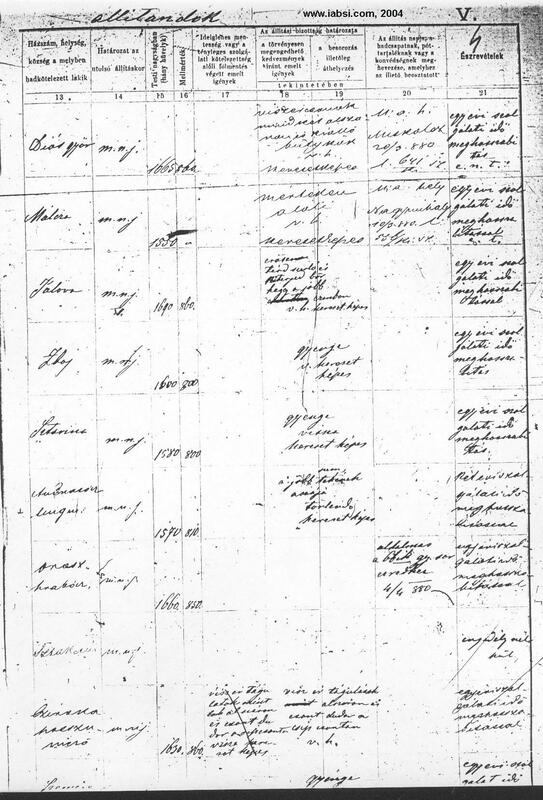 "Katonai nyilvántartási jegyzék, 1880-1887", (Muster rolls from the Szinna military district of Hungary, now Snina, Czechoslovakia. 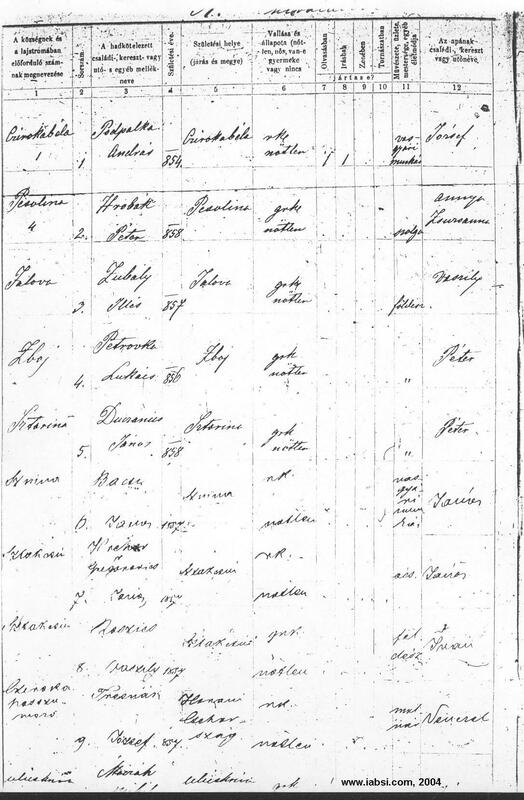 1880-1887, births of 1852-1867." film number 629854. Uses old Magyar village names. Thanks to Frank Kurchina for Magyar language clarifications. 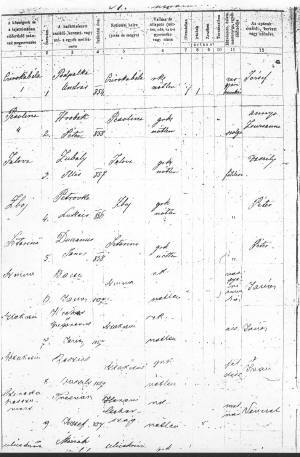 Thanks to Joe Jarfas for adding the translation in muster list column 10.